Our 24 hour locksmith in Toronto doesn’t close its doors at the end of the working day. We continue to offering our assistance to all those in need of emergency service. Whether you are locked out of your car in wee hours or can’t lock the home door after midnight, you have nothing to worry about. 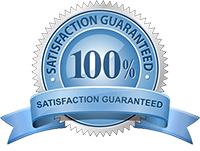 One call to our Toronto Certified Locksmiths and your urgent requests will be covered in a jiffy. Our mission as an emergency locksmith company in Toronto, Ontario, is to help everyone in times of need. And that’s not restricted from the time of day or whether this is a regular weekday or a holiday. Locks can get damaged at any point. Keys are lost all the time. And every time such mishaps occur, our duty as a lock smith company is to be there to protect your needs and help you feel safe again. So, whenever trouble strikes, simply give us a call. Our 24 hour locksmith will be there to help you out. Burgled home or office? No need to panic. What you need is new locks to replace the vandalized ones. And that’s what we offer. Lock change. Locked out? Whether you need an office, house, or car lockout service, call us. We have the tools, experience, and knowhow to open locked doors, replace keys, fix locks, and take care of any need. Lost the key? Whether you are locked out or not, we’ll be there to assist. When such problems occur, there is always a fear that someone would use your key to intrude. Not under our watch. We provide emergency lock rekey to protect you from intrusions. Broke the house key? Call us to extract it. Our company won’t only help during a house lockout or lock-in, but will also extract and replace broken keys. Can’t lock the window? The key won’t turn in the lock? Contact us to fix locks immediately. No matter what’s the urgency with your home, car, and commercial locks and keys, we take care of them. 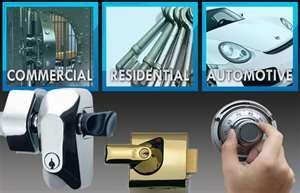 Contact our Toronto 24 hour locksmith company and let our experts handle your emergency needs.